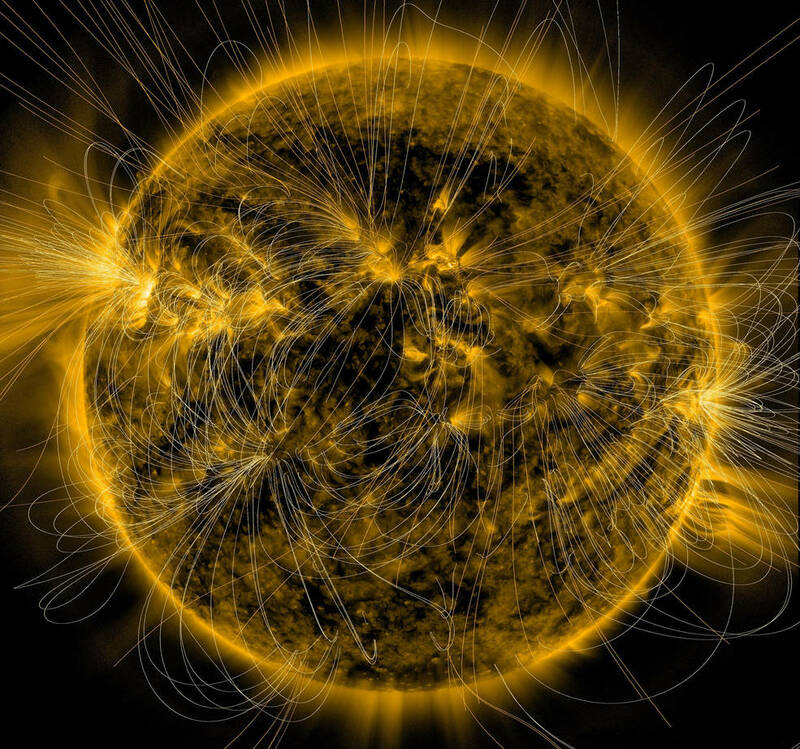 March 15, 2016 – This illustration lays a depiction of the sun’s magnetic fields over an image captured by NASA’s Solar Dynamics Observatory on March 12, 2016. The complex overlay of lines can teach scientists about the ways the sun’s magnetism changes in response to the constant movement on and inside the sun. Note how the magnetic fields are densest near the bright spots visible on the sun – which are magnetically strong active regions – and many of the field lines link one active region to another. This magnetic map was created using the Potential Field Source Surface (PFSS) model – a model of the magnetic field in the sun’s atmosphere based on magnetic measurements of the solar surface. The underlying image was taken in extreme ultraviolet wavelengths of 171 angstroms. This type of light is invisible to our eyes, but is colorized here in gold.